At our Taggarts Volvo dealership in Glasgow we stock a wide range of approved used Selekt Volvo cars for sale. 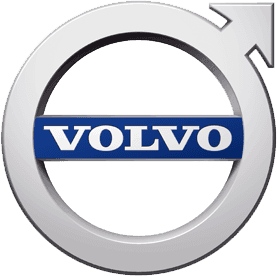 With our approved used Volvo Selekt Programme you will receive various benefits such as MOT Test Cover and Volvo Selekt Warranty. We have used models from across the Volvo range, including the popular V40, V70 and XC60 estate cars and XC90 SUV.As a manufacturer-approved used car dealership, our aim at Taggarts is to provide you with the highest quality used Volvo car. All our vehicles undergo comprehensive tests and inspections and we conduct HPI and full service history checks to assess the background of each and every car. Taggarts is part of the large Lookers Group dealerships, which together have the largest selection of used models available in the UK. Contact us today to arrange a test drive in the used Volvo of your choice, or browse our website to find out more about our current availability. To find our more about any of the used Volvo cars listed below, please contact a member of our team at Taggarts Volvo Glasgow.